Perry Mason is the protagonist in a series of detective fiction novels and stories by American novelist Erle Stanley Gardner. Mason works as a defense lawyer, but usually ends up working as a detective in the process in order to clear his client’s name. 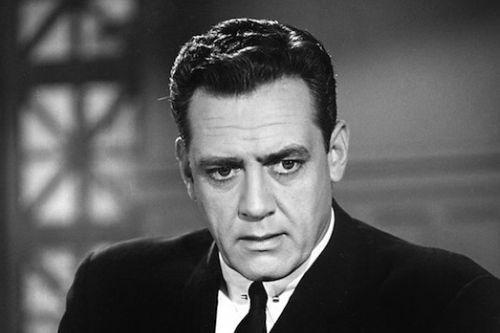 The series was adapted to the TV series of the same name from 1957 until 1966, which starred Raymond Burr. Burr also appeared in 26 television movies from 1985 until 1993. The character also appeared in several films, radioplays, comics and a second TV series. The Case of the Lucky Legs by Erle Stanley Gardner is the third book in the Perry Mason series. Frank Patton was a tall and handsome promoter, and an accomplished crook. But when Perry Mason meets him, he’s got a knife sticking out of his chest. The Case of the Counterfeit Eye by Erle Stanley Gardner is book 4 in the Perry Mason series. Hartley Bassett is a wealthy businessman who has apparently committed suicide. There’s even a note and some guns near his body. However, Perry Mason thinks that’s too much evidence. Besides, there’s plenty of people around Bassett who had more than enough motive to off him.